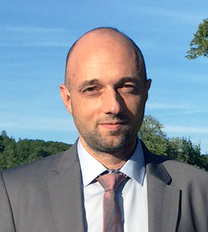 Olivier Meilhac is Research Director at INSERM (French National Institute of Health) since 2010 and is currently the Director o f the joint unit Inserm U1188 – Université de La Réunion (Reunion Island, France). He gained his master degree in 1994 from Paul Sabatier and Autonoma Universities (Toulouse, France and Madrid, Spain). He holds a PhD degree in Medical Biochemistry from Toulouse University. He has published over 100 articles on cardiovascular diseases. Since 2001, Dr Meilhac’s research has focused on atherothrombosis in humans. He currently investigates the impact of different risk factors including diabetes and periodontal diseases on vascular complications in Reunion Island. Cardiovascular disease remains a major cause of morbidity and mortality in the western world, and atherothrombotic remodelling of the vascular wall is one of the main determinants of morbi-mortality, related to coronary artery disease, peripheral arterial disease or ischemic stroke. The search of biomarkers in atherosclerosis is of major importance in order to predict the onset of clinical complications, to evaluate the efficacy of treatments and to understand its pathophysiology, in order to define new targets for therapy and imaging. – to use HDL as a vector of protective molecules in stroke and atherothrombosis.